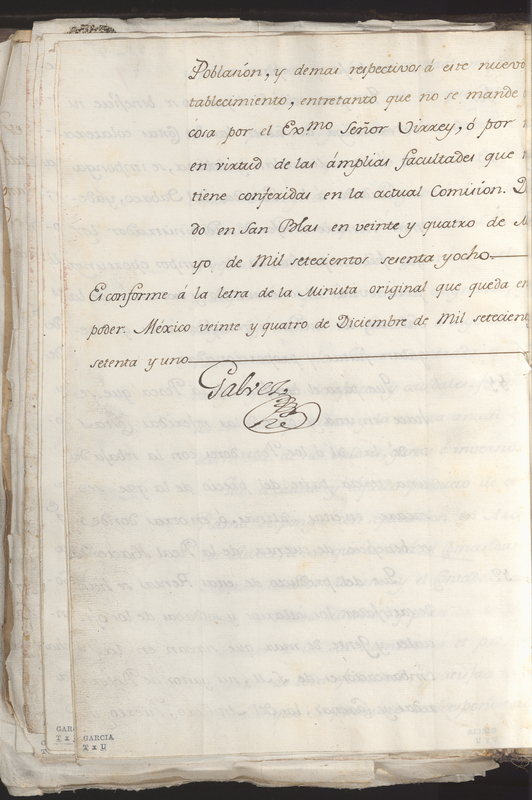 In an effort to increase accessibility in the study of the Spanish Empire, I have created an interactive digital exhibition based on 15 documents from the Genaro Garcia Collection, housed at the LLILAS Benson Library at UT. The exhibition provides an accessible forum for learning about what it really meant for Spain to run an empire in the Americas from 6000 miles away in Madrid. It includes images of the documents, CARTO maps, brief historical contextualization, features for collaborative transcription and translation for the documents, and an interactive chronological overview of the bureaucratic process. The objective was to create a project that not only facilitated a meaningful elaboration of my research on the Spanish Empire using digital tools, but that also created a product that would be both accessible and useful for future researchers.